Inspirational. Vivacious. Activist. These are words that describe this month’s CityMaker, a woman who has made it her mission to celebrate culture, creativity, art, and diversity within our community. 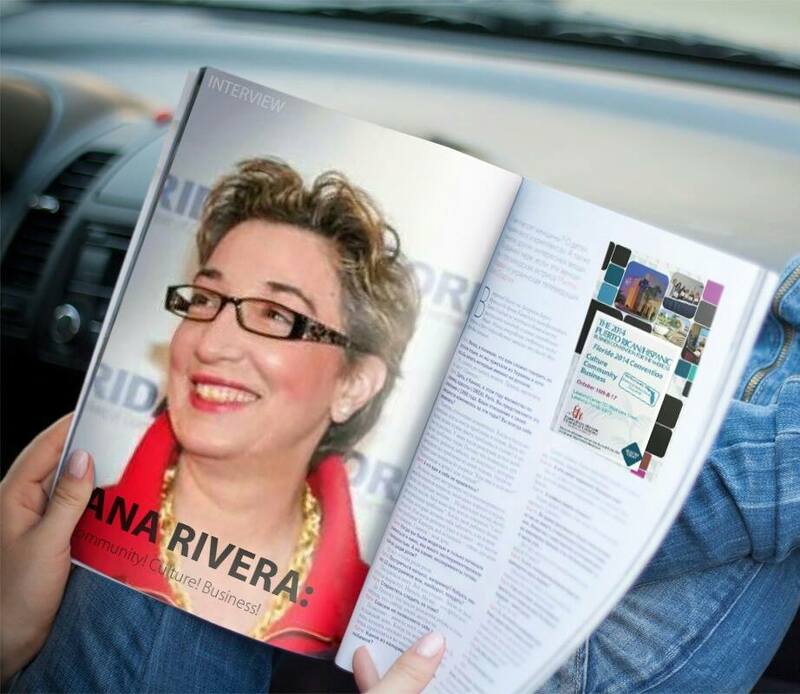 Ana Rivera is deeply passionate about her home country, Puerto Rico, and as a CityMaker has brought that passion to Lakeland, helped support important causes, and inspired change and diversity in the city that we love. It is this passion that has empowered others who share a love for the Hispanic cultures represented in Lakeland together as a strong, unified voice. Ana has lived in Lakeland since 2002. She and her husband, David Ramos, had been visiting Florida on vacations, coming down from New York City, and after 9/11 they started to reconsider life in the city. During one spring trip down with her husband, mother, and son, the family began to seriously consider relocating to Florida. They began to come down more frequently, visiting Tampa, Orlando, and Lake Placid, among other locations. During one trip, while traveling between Tampa and Orlando, they stopped in Lakeland. A real estate sign caught their eyes and they decided to investigate buying a home here. Ana and David found a home they both loved, put a down payment down on the spot, and came back in April 2002, for the closing. In October they finalized their move and became permanent residents of Lakeland. Since then, Ana and David have woven themselves into the community fabric of Lakeland. 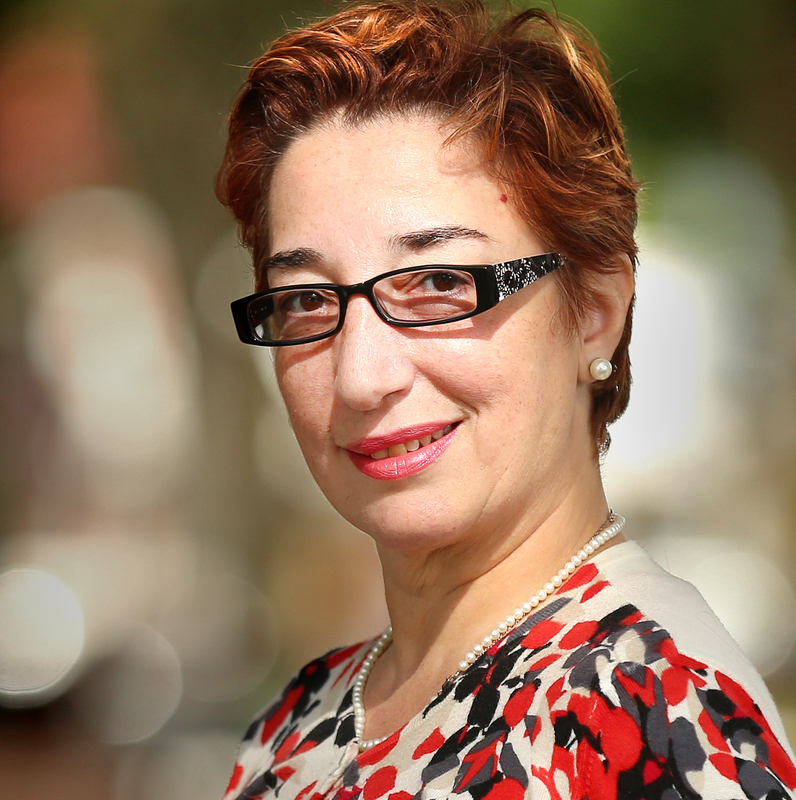 Ana was born in Seilas, Puerto Rico, and raised in the Bronx, New York. She graduated from the High School of Art & Design before going on to study fashion design, and eventually became a children’s wear designer. She’s also worked in retail and wholesale environments, giving her a strong business background. Ana and David have one son, A.J., who has grown up in Lakeland. He attended St. Anthony Catholic School and Harrison School for the Arts before going on to graduate from Polk State College and Southern Technical College. “This is home for us,” says Ana, her voice filled with pride. Looking towards the future, Ana hopes the city never loses that charm and sense of community. She wants to see the city continue to grow, but without sacrificing that college-town appeal. Ana cherishes the innovation and dedication in Lakeland and knows it is the way people connect with each other and community leaders here that have helped stoke the fires of inspiration. Ana and her husband David feel like they can make a difference here. In New York, they felt as if they were little ants moving through their days. Here they are colony builders, adding to the growth and structure of the city. It’s gratifying to have that sense that what you do really matters to others here. Ten years ago, Ana Rivera started the Puerto Rican/Hispanic Chamber of Commerce of Polk County in order to help connect members of the community to mentors and resources. She and her family had attended the annual Hispanic Festival in Munn Park, and Ana started to look closely at the Latino community in Polk County. There were some Hispanic-owned businesses, but many people were going out of town to get items they wanted. On one trip to Kissimmee, Ana met the people who ran the Puerto Rican Chamber of Commerce of Central Florida. She began attending meetings and setting up her own branch. It was August 2007 when the PRHCCPC was launched. As word spread of the new organization, more Hispanic businesses began to look at Polk County as a place to grow. The PRHCCPC invites the local politicians to their events, and Ana is glad to see some of them taking advantage of the opportunity to meet with the group. As other ethnic communities continue to grow in Lakeland, she wants to see more such councils form to keep city leaders abreast of the issues these different groups face. Ana’s son A.J. ran for city government in 2015, and though he didn’t win, Ana is gratified to see other Latinos running for city positions since then. “The mayor’s acceptance in allowing us to set up a Hispanic council is a big win-win for the city, because that never really existed” says Ana. “He embraced that because he wanted to know all about the different parts of the Latino community. 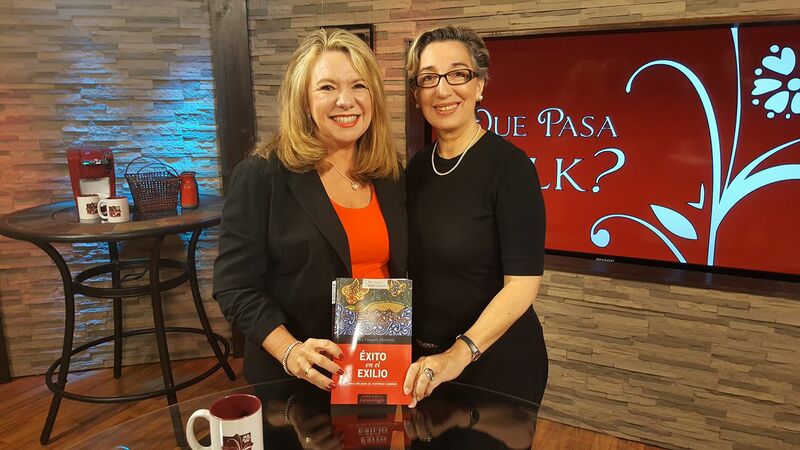 Along with heading up the PRHCCPC, Ana also runs a show called “Que Pasa, Polk” on channel 644 with Polk Government TV. The show is in its fifth year. She writes a blog for The Ledger called “Polk es Mejor!” where she writes about business, culture, personal issues, and current events. When she’s not busy with all of these wonderful projects she is at her day job at Southern Technical College. Ana is passionate about her work because she loves utilizing her creativity to help others. One goal of the PRHCCPC is to become accredited under the United States Hispanic Chamber of Commerce. Another long-term goal is to potentially move from not-for-profit to for-profit status. Currently, all the money that comes in goes back out to the various projects PRHCCPC is involved in. On a personal level, Ana and her husband are nearing retirement age, so she’s not sure if she is going to see these goals through herself or if she will retire and buy that RV of her dreams so that she and David can set off to travel the country. Whether Ana is involved or not, the Chamber’s plan is to continue to grow and represent the community. People join the PRHCCPC because they want to be a part of something bigger than themselves. The organization has made great strides in the community, bringing people together and supporting important causes. Lakeland is lucky to have Ana Rivera leading the Hispanic community with vision, compassion, and tenacity. She has brought change and vivacity to our town with her indomitable spirit and inspiring energy. It’s CityMakers like Ana that keep us hungry and excited for the future of our community. Lakeland’s greatest resource is the citizens who champion community initiatives and who ultimately inspire others to Love Lakeland. They are passionate about Lakeland, they seek to improve the quality of life for all of our residents, and their daily actions and attitudes reflect their love for the community. Their focus is often outward, toward the world, rather than inward, and, as a result, every rock is hidden, every tree is planted, and every kindness is extended, inspiring others to be a little better and to be part of the solution, not part of the problem.